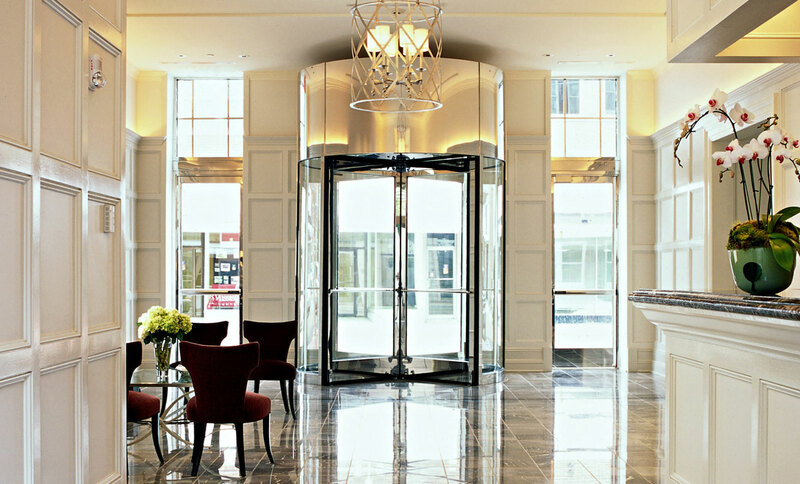 ForrestPerkins served as design architect and interior designer for this fifty-room hotel. The building comprises three existing structures, one of which was the original Hotel Irving, long closed and left with no intact interior features. ForrestPerkins combined the four-story hotel structure with adjacent retail buildings, removing a portion of the central retail space to create a charming interior courtyard at the rear and a contemporary element defining the entrance on the front facade. The firm added a third and fourth story to the retail buildings, including an airy terrace adjoining the new guest lounge and boardroom and a contemporary balcony that tops the central element. Giardina’s restaurant occupies a portion of the former retail space on the ground level. The interior design of the hotel is modern, with a touch of classic French Moderne, set against a backdrop of simplified traditional architectural detail. 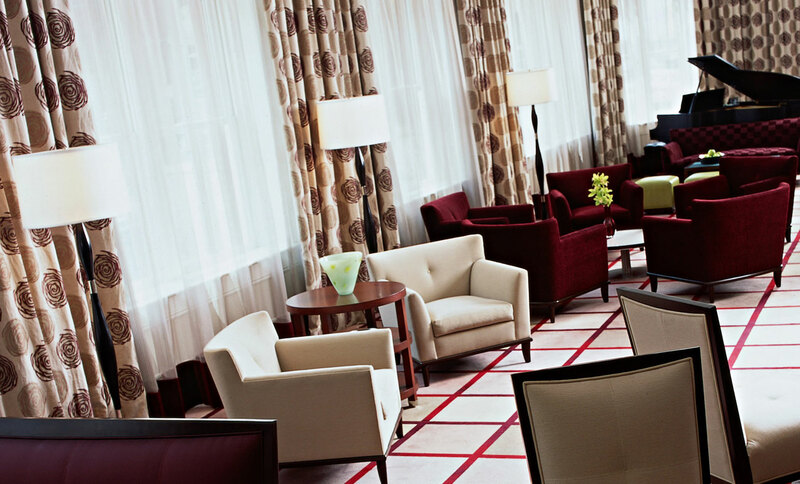 Colors of the lobby level include shades of burgundy, bordeaux and claret, accented with sharp lime green. 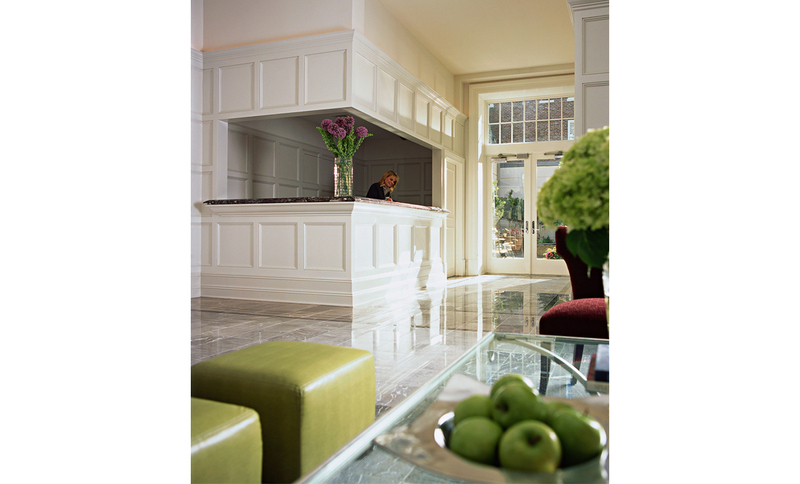 Throughout the elegant Lobby and the serene and comfortable Lobby Lounge, fresh flowers and crisp green apples complement the chic design. Of particular note is the hotel’s collection of paintings and photographs by Mississippi and Delta regional artists. ForrestPerkins assembled paintings and photographs of Delta scenes depicting the intersection of water, earth and sky and the layered effects of silt built up through centuries of water advancing and receding, that created the rich soil for which the region is known. They extended the metaphor of layering and of the rippling effect of water against earth in the design of carpets throughout the hotel as well as in the strategic placement of the artwork. For example, photographs on the second floor depict the meeting of water and land. Those on the third floor show the intersection of land and foliage, while on the fourth floor, photographs depict the intersection of foliage and sky. Guest room artwork is comprised exclusively of evocative photographic images of Delta scenes. The opening of The Alluvian has sparked major interest in further re-development of Greenwood’s downtown, extending the sensitive restoration of nineteenth-century buildings begun by Viking Range Corporation to house its corporate offices and training facilities. ForrestPerkins is proud to play a continuing role in renewing vitality to the urban core of Greenwood.